Fondly known as “Moochhali Maa” ("the mother with whiskers"), Gijubhai Badheka was a renowned educationist who is regarded as one of the pioneers of Pre-School education India. Badheka had a flourishing practice as a high court lawyer. He developed an interest in early childhood education after the birth of his son in 1913. He was disappointed in the existing education system and the general lack of awareness about the psychology of a child among parents. In 1920, he gave up his practice to become a full time teacher at Bal Mandir, a pre-primary school founded by him in Bhavnagar. Badheka wrote about his experiments in his book “DIVA SWAPN” (Gujarati), which was later translated into many Indian languages. Badheka believed in children’s right to freedom. He did away with corporal punishment (a common practice in those days) , the decision born of his conviction that learning is possible only in an environment of love and sympathy. Hence, he felt, a teacher should be friend and not be feared by students. Badheka wrote over 100 books for children as well as teachers and parents. Tarabai Modak was a graduate from University of Bombay. In 1921 she became the first Indian principal of Barten Female college of Education, Rajkot. She was influenced by Maria Montessori’s writings and decided to educate her own daughter with Montessori’s methods. Tarabai resigned her job in 1923 and joined Gijubhai Badheka, who was running his school in Bhavnagar. Together, they established Nutan Bal Shikshan Sangh(NBSS) in 1926 to develop appropriate methods for teaching at pre-primary school level. They also started a teacher training center in Dadar, Bombay (as Mumbai was known then). Tarabai travelled to Europe in 1949 to attend the Montessori conference in Italy, and to study the pre-primary institutions in the European countries. Although NBSS’s work gained recognition and popularity, Tarabai realized that its spread was limited only to the children of urban upper-class. It had failed to address the learning needs of the vast majority of children because of their poor economic condition and the prevalent caste system. 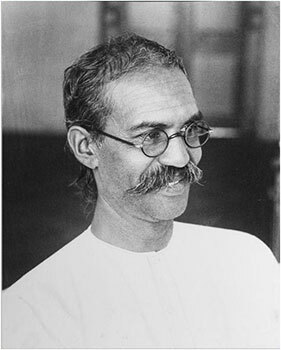 Tarabai strongly believed that the poor and underprivileged had equal rights to quality education. However, Montessori’s methods could not be used widely because of their high cost. Educational aids were prohibitively expensive. Yet, children could not be denied an education because of its cost and resistance to change. A solution had to be found. This led to the concept of Anganwadi (literally meaning, a village courtyard). Tarabai set up her school in a tribal area. The indigenous people, or Adivasis, did not want to give up their way of life and generally preferred isolation to joining the mainstream. Hence, getting their children to school was a big challenge. Tarabai and her associates took the school to their doorsteps. They visited hamlets, gathered the children under a tree or any open to air space and engaged them in activities that were not only fun for the children but also provided learning experiences. The children participated in activities that were closely connected to their daily lives which developed their cognitive abilities and motor skills. They made things with locally available material such as stones, clay, flowers, leaves, vegetables, etc. The schools also raised awareness among the children and their mothers about health, hygiene and nutrition. Tarabai’s schools were so successful and popular that the model was adopted by the Government and implemented on a much larger scale nation-wide in the ICDS (Integrated Child Development Services). ICDS is one of the world’s biggest welfare programs today. 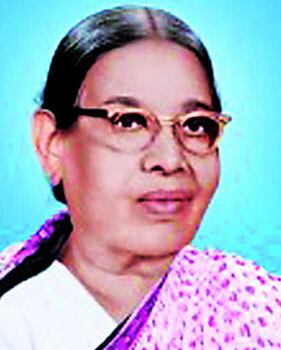 Tarabai Modak was awarded the Padma Bhushan in 1962 for her outstanding services. 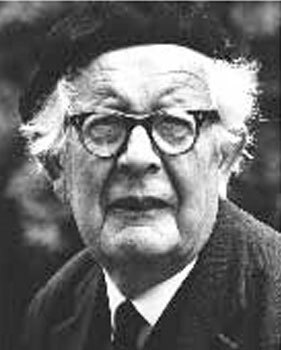 Jean Piaget was one of the most influential psychologists of the twentieth century. His works on cognitive development has had deep impact on research and applications in several fields – psychology, sociology, education, epistemology, economics and law. Piaget was a man of many interests. He was trained in biology and philosophy but considered himself to be a ‘genetic epistemologist’ whose work focused on how one comes to know things. Piaget pioneered the systematic study of cognitive development. From his first experimental studies of the growing mind in a boys’ school, Piaget was preoccupied with the one question that guided his research for nearly his entire career: how does knowledge grow? Piaget’s studies effectively disproved the prevalent notion of his time that children are merely less competent thinkers than adults. He showed that children’s thinking process is completely different from that of adults. His theories of child cognitive development and learning are not only compulsory reading in teacher training courses, they also guide teaching-learning methodologies and classroom practices today.